While the New England sky may now seem forever filled with slate clouds, chilling winds, and endless mists, these same gray days truly mean that spring is coming – and after spring, comes that irrepressibly gorgeous New England summer. Though famously beloved around the world for its sweeping blue skies and soaring mountains, rocky coastlines and roaring rivers, no one cherishes a New England summer more than those who have survived a New England winter: local New Englanders. Distant though it seems, summer really is around the corner; and with just a few imaginative redesigns or exciting additions, it can bring out the best our homes have to offer. Nothing sparkles of summer fun quite like a swimming pool. It’s a raucous, joyful call to all that makes this times great: glittering sun, wild times, favorite people, quiet contemplation. However it’s enjoyed, and no matter the size, shape, or depth, a pool is there to vibrantly celebrate the season throughout the months. Swimming pools might be the epitome of summer for most – and a marvelous addition to any home – but in New England, the icon of summer takes a slightly different, deeply exquisite shape: the water. 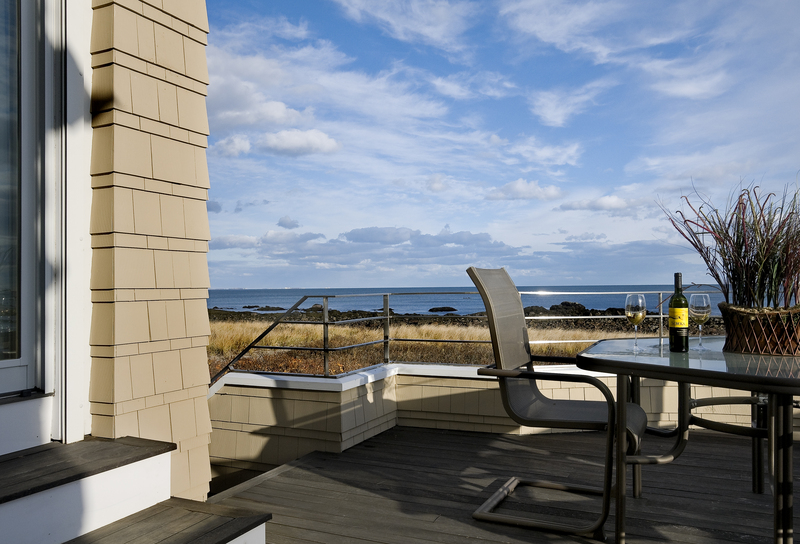 Lakefront to harborside, in New England, “the water” means one thing and one thing alone – escaping the world to hear that lap of waves on the shore. 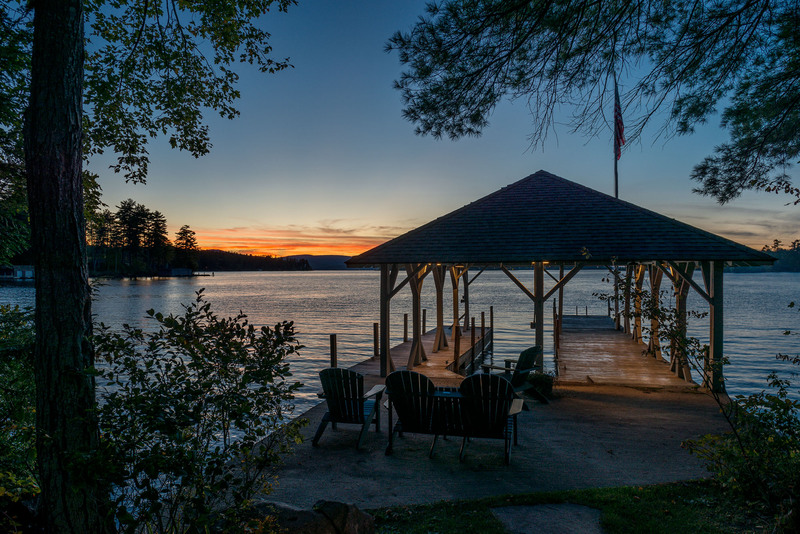 Whether it’s the dock of your dreams or a wonderful beach walkway, creating a tangible connection between your home and its nearest oasis is one to be prized for generations. 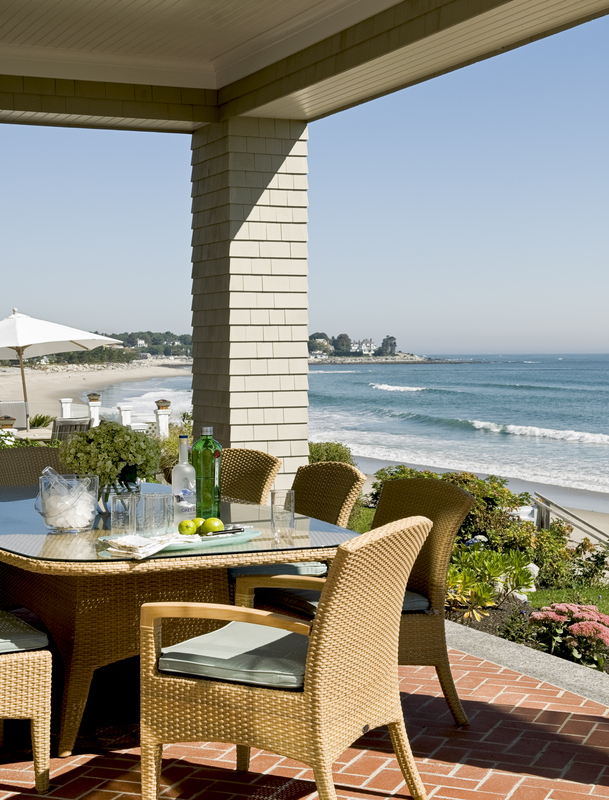 Oceans, lakes, ponds, and pools are not the limit of New England summers, of course. To believe such would scathingly ignore thrilling ranges and rolling hills – not to mention roadtrips, tree climbs, barn dances, and fireworks. 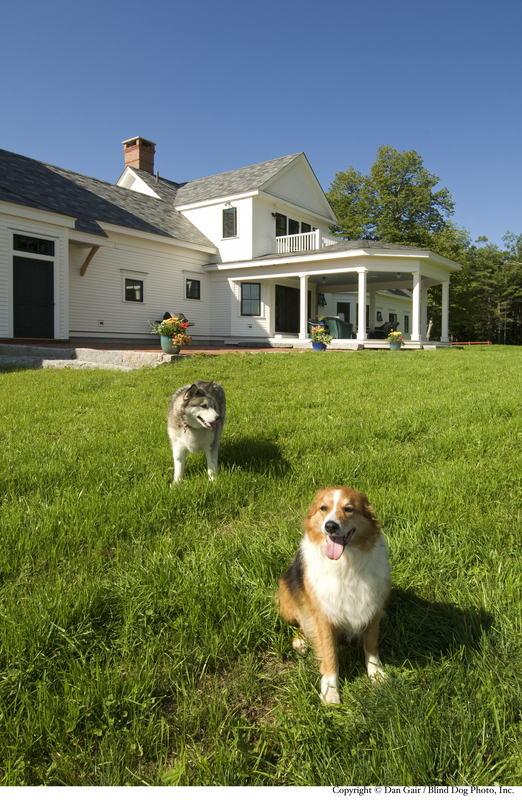 Some are not water-lovers, but greenery-conquerors, and New England provides plenty for both. But in adding the best of summer to a home, incorporating a full-scale mountain remains problematic; yet that doesn’t leave those who don’t hope for waterfront bliss without brilliant prospects, from luscious gardens to woodland walks. Even the simple dedication to developing and caring for a rolling, verdant lawn is a lovely investment in years of Capture the Flag and star-gazing. For many, the best of summer comes without swimming or hiking, rowing or playing; it needs little more physical activity than the turn of a page and the lift of a wine glass to make for the ideal day. And for those many, summer isn’t complete without warm, drowsy afternoons of dappled sunlight and long chats; without those times on the deck. 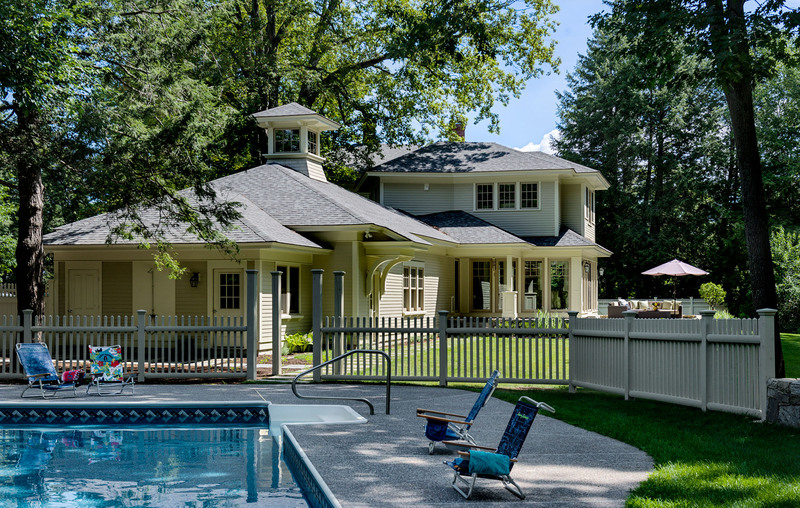 A home might very well have a few slats of wood or a brick patio already attached – but that isn’t the same as a true porch. The real deck – or veranda, or porch, or anything delightful – must contain deliciously comfy seating, beautiful arrangements, with loads of light and shade in equal measure. A breathtaking view is, naturally, perfect. When building or renovating this classic extension, remember: it should feel enchanting in essence, a literal extension of your home’s best, drawing any family and friends to it as the summertime heart of the household. Extensive outdoor additions can appear overwhelming to the point of impossibility. Summer is too soon, the work is too stressful, and the last thing anyone wants to do when the weather finally becomes magnificent is worry about a single thing – never mind a time consuming addition or renovation. It never needs to be so complex. 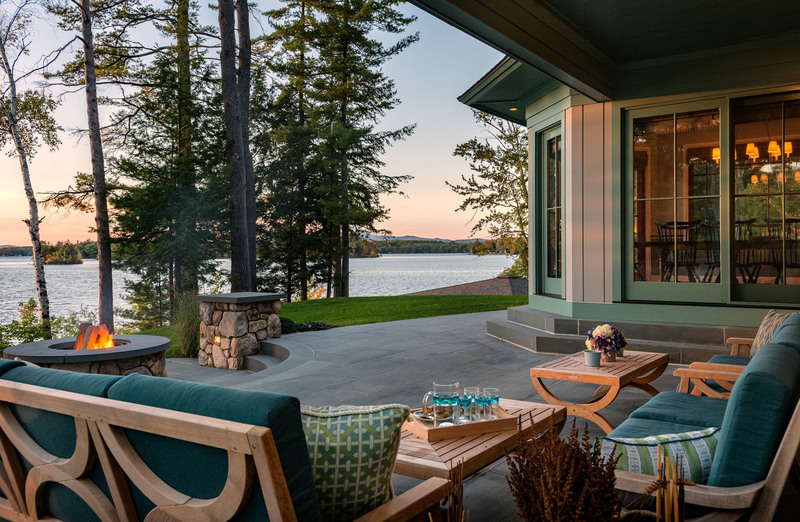 If digging a pool, building a dock, or extending a porch seems too much – and understandably so – consider the spaces that already exist in your home and how they could be melded into the beautiful outdoor world of summer. French doors in the dining room, welcoming warmth? A fresh paint, brightening the halls? Refinished floors, winking in sunlight? Whether it’s a concrete, actual opening of a space to the nature outside or an aesthetic shift, the transition can easily be one as enjoyable as the season. However, there is a special fun to marking the beginning of summer with a distinctive choice, a unique addition. But nowhere does it say such excitement must come from a large, complicated project. By building the most modest of fire pits to accentuate your favorite outdoor area, a basic gathering space becomes a fantastic paradise. With the smell of woodsmoke, the crackle of the fire, and the chill of evening air underneath glowing stars, nights take on a bit of timeless magic. Staring at yet another rainy sky, it may feel spring is an allusion to something that will never come. But come it always will – and soon after, delectable summer. By planning your spring projects with the next step in mind, your summer can be filled with incredible memories to last all year long, and for many summers to come. 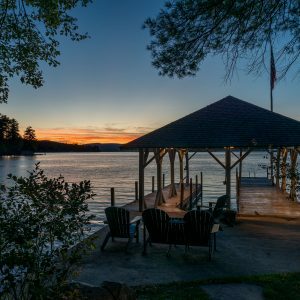 Whether you’re looking to build your dream waterfront vacation home, or simply thinking of ways to improve the one you have for the season to come, we’re here to help. Contact us today for a consultation. From first light to the end of the night, our days open and close in the bedroom. But no day truly begins without the ablutions of that most sacred space: the bathroom. We seek out ritual and routine to create order in the general chaos of daily life – rushing to work, rushing to errands, rushing to meals – and those seamless moments of waking start and restful preparation form a framework to it all. Any day of mayhem, particularly during stormy winter madness, can be washed away with a good scrub or a soak in the tub; the next morning of calm rejuvenation an exciting new beginning. And of course, though any bathroom can have its own sense of retreat, only one carries the real possibilities of sparkling spa and reviving relaxation – the master bath. In most spaces, every initial design choice is based on pragmatism. What function does the room serve? What does it need? What must be included? But with bathrooms, the basic necessities are already prescribed; the boundaries are clear. The best creativity comes from within set boundaries, and no place celebrates greater creativity than the master suite’s bathroom. 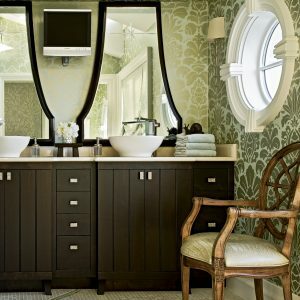 This isn’t just a hallway powder room – this is the personal inner sanctuary of your home and daily life. In all likelihood, your bathroom already has the bare needs met. If you’re redesigning it, the desire is probably more aesthetic than practical, pleasurable than tedious. 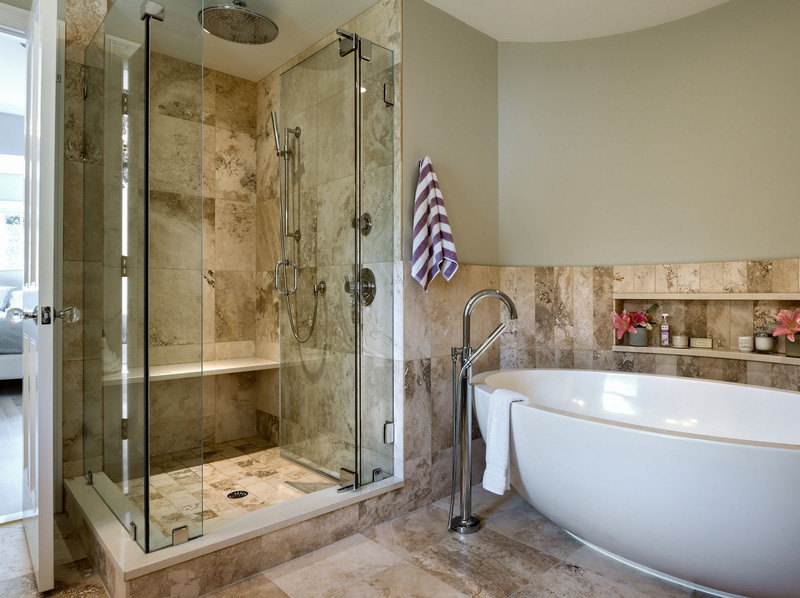 Go for the decadent multi-headed shower; add a brilliant standing bath. In choosing to redesign, and in every choice throughout: enjoy the decisions you make, and make decisions you will later enjoy. Fun isn’t merely tied to the traditional indulgences, either. Marble-topped counters and silky minimalist surfaces are always glamorous, but in 2017, those are only the beginning. Genius accessories can change your entire experience from scrambled slapdashery to timeless tranquility: LED heat lamp panels, custom hot towel presses, steam-warmed flooring tiles, zone-controlled thermostats, and even high definition screens the perfect size for catching up on your favorite shows from the tub at the end of a long day (adding a miniature wine fridge might not be amiss, too). If renovating and redesigning a preexisting bath feels wildly overwhelming, you’re not alone – and you’re not out of luck. 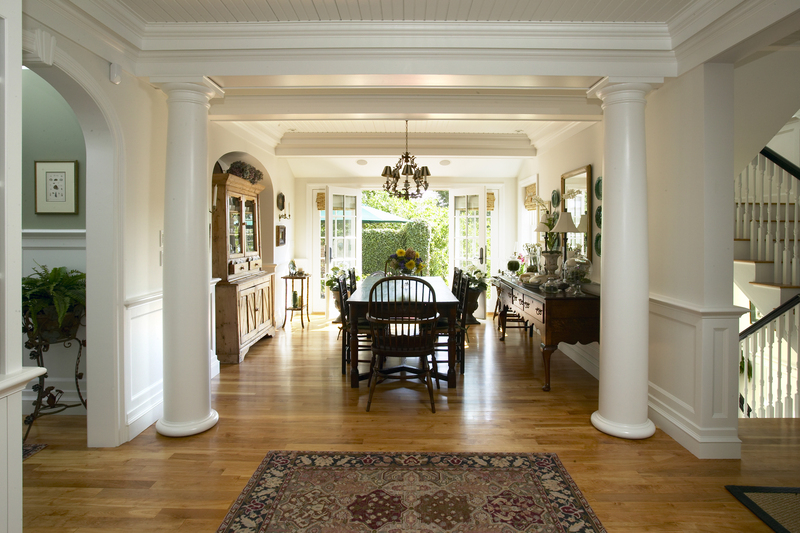 Instead of replacing or moving the space’s large elements, focus instead on the manageable details that can redefine a room. Whatever helps you relax: monochromes or soothing colors, smooth textures or grounding shapes. 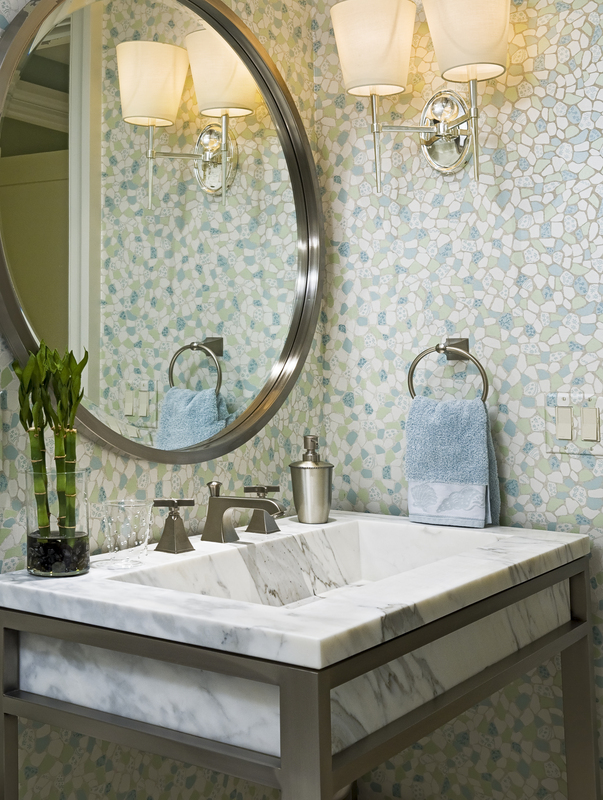 Refurbish worn tiles with fresh colors or a different theme, exchange battered cabinet handles and testy faucets with sensuously appealing pieces; replace your tired bathmat with a Nordic wood platform, switch out old lighting fixtures for glowing choices that reflect in your new favorite mirror. Of course, a healthy dose of pragmatism isn’t the worst idea in a design – especially when that pragmatism is gorgeous. In considering a design for any space, it’s easy to get distracted by the name items – a bedroom’s bed, a bathroom’s bath – and forget the important additions that will make enjoying time within the space actually enjoyable. 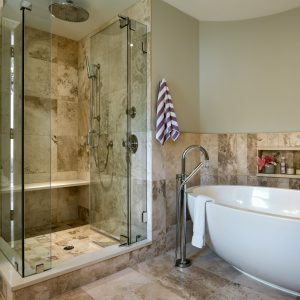 You might have a beautiful freestanding bathtub the size of a pool and made from Massa-Carrara marble, but if you’re always tripping over towels and unable to find your moisturizer, that bathtub will be too often forgotten. And just as often, storage is the main reason for any redesign; but that doesn’t mean it needs to be boring. 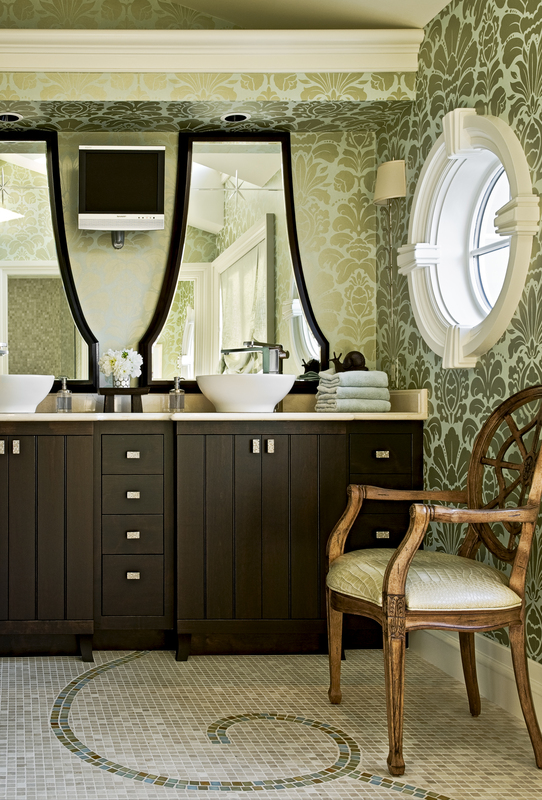 Elegant lines, sparkling details, and exquisite fixtures can turn an omnipresent need into an artful accent. From cabinets to counters, Jack and Jill sinks to built-in shelves, for every solution required there is a sophisticated one to be created. 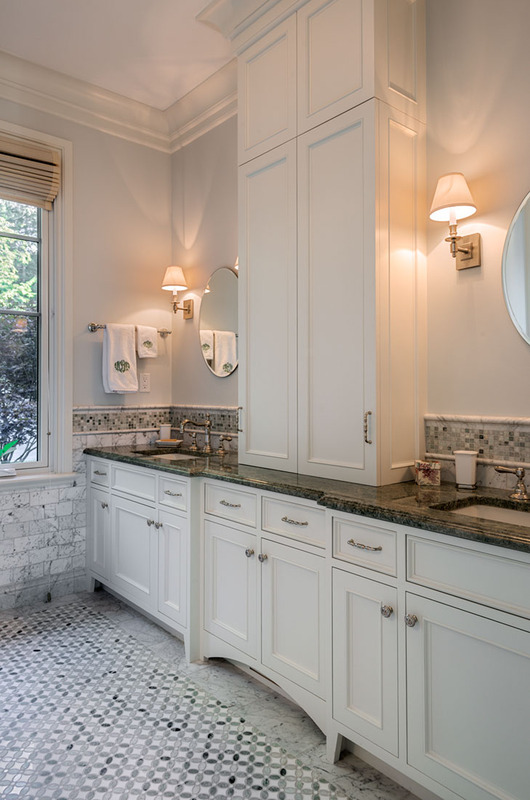 Whether you’re building a space for the first time or renovating for the fourth, your home’s master bath is a unique opportunity filled with marvelous possibility. No other room exists for the total purpose of balancing usefulness and need with relaxation and escape. A private oasis, let your design be a complete expression of your tastes and comforts – and every day will start and end in perfect, calming luxury. If you’d like to add a luxurious master bath to your home, or redesign any room for that matter, contact us for a consultation. This time of year in New England, patio season still feels lightyears away. But those chilly temperatures, snow, and mud present an opportunity to enjoy the great indoors with those you love. Does that sound more like a headache than a good time? With a luxurious home wet bar, it doesn’t have to be. An investment in a fully-loaded home bar helps you kick back, delights your guests, and makes that time indoors so much more enjoyable. February often seems little more than a frustrating extension to winter, filled with nothing but slate skies and slushy streets – especially when it starts with such a Super Bowl high, only to have nowhere to go but down (except for the inches of snow). For some, Valentine’s Day and snow sports offer a willing escape, but for others the wait for spring is interminable. Unless, of course, those others are in Portsmouth. As always, this gem of the coast has plenty of exciting events and cozy retreats to fill its time, whatever the season or the weather. Throughout our homes, each space can serve an endless variety of purposes. A living room is a place of comfort, of entertainment, of lazy Sunday mornings; a bathroom a place of rejuvenation, of contemplation, of preparation. The kitchen becomes a headquarters, the pantry a kid’s clubhouse, and the other way around. On the weekdays, one is an area of hectic rushes and piles of refuse – and on the weekends, sparkling to perfection for the best parties around. But there is one space that remains unchanging, timeless in purpose and quintessential in essence: the master suite. From the sprawls of Versailles to the stories of the Plaza, master suites serve as the foundation of a home’s inner life. It is where we start and end our day. 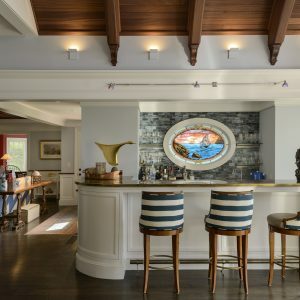 Yet while their purpose may be unchanging, they are often forgotten in renovations, an afterthought to a house’s interior design; and a bit of change within that space may be all you need to redesign the experience of your day to day life. Even during the most comfortable of times, the thought of redesigning your house can be exhausting. Renovations strike terror into the hearts of even the bravest of homeowners. Both terms are harbingers for dusty air and sleepless nights, hectic mornings and gritty floors. But nothing is more tiring and frightening than when either term is involved with a building’s structure. This fundamental foundation – from the very literal foundation through every wall and angle – of a structure seems insurmountable, epic in importance and unfathomable to change. Shifting any elements, of any size, feels ridiculously difficult at all times – but never more so than when the weather swings from freezing blizzards to muddy false springs. 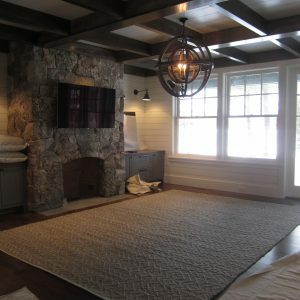 Yet these elements themselves are so often the shifts needed to bring new life to a home, beyond the rejuvenation of fresh throw pillows and a switch of the rugs. But instead of focusing on the scale of a change or the differences in the exterior, consider the multitude of small, manageable changes in interior architectural details that can be achieved long after the original build, regardless of how daunting the season may be. It’s January. Every single surface of your life is filled with words like “fresh,” “new,” and “revitalizing.” Junk mail touting gym memberships covers the kitchen table, articles about healthy meal plans cram the computer screen, and all emails on your phone reference resolutions to be maintained. Things to be bought and sought, thrown out or traded in. But this year, let the change of season be rejuvenating without the stress, without the buying, without the endless, never-satisfying fetching of “new” and burn out of “old” – by reassessing what you already have. With a few changes, additions, and adjustments, your house will be ready to welcome all the new year has to offer, just by focusing on two words: storage and organization. During the first week of the new year, it’s always nice to sit back and reflect. 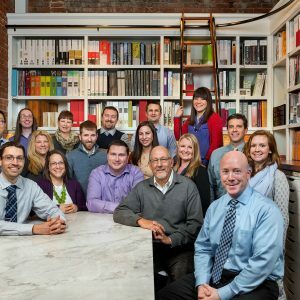 For TMS Architects, 2016 meant exciting new projects and clients, tying up loose ends, and taking time to celebrate and explore. We’re so proud of our team for their hard work and accomplishments this past year, and we’re excited to see what 2017 brings. Read on to learn about our favorite highlights from the year that was.